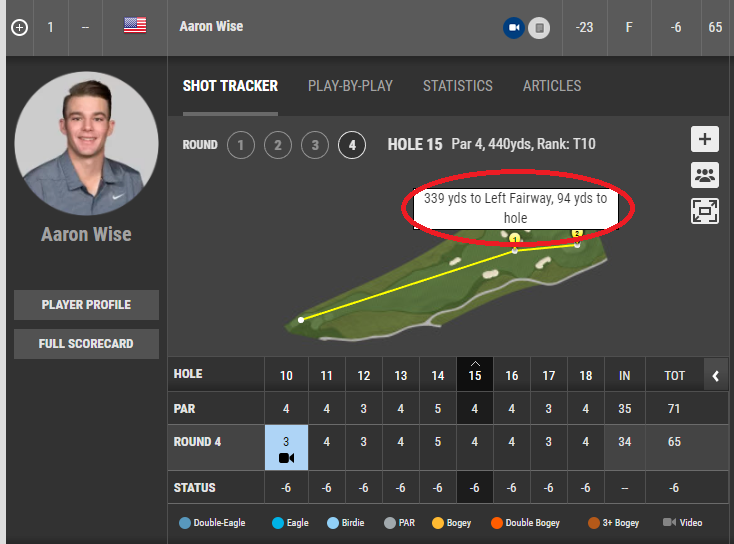 I don’t know how many of you roll your eyes when they start raving about driving distances on the telecasts during PGA Tour events, but I have something here that shows just how out of control things are. We already know that you’re going to get eye-popping numbers when driving the ball on fairways that are cut faster than the average public green, but I have to say, 50 yards roll-out is just silly. This entry was posted in Ball Speed, Club Head Speed, Driver, John Daly, MCS Golf Swing, PGA Tour, Tiger Woods, Tom Watson and tagged Ball Speed, Club Head Speed, DJ Watts, Driving, John Daly, MCS Golf Swing, PGA Tour, Tiger Woods, Tom Watson, WAX Golf on May 21, 2018 by D Watts.